Do you want to impact your visitors with appealing images? 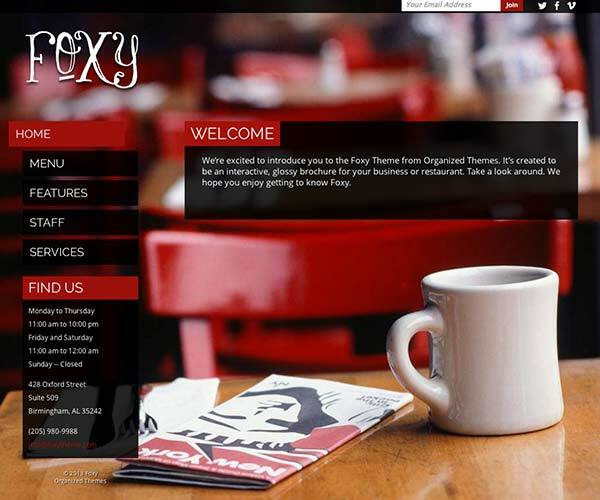 Foxy is a Wordpress theme perfect for businesses, restaurants, and fashion sites. Pull clients right in!